Did you dress up, go trick-or-treating, and celebrate Halloween? Here is an article that can spice up your Halloween spirit even though the party is over. 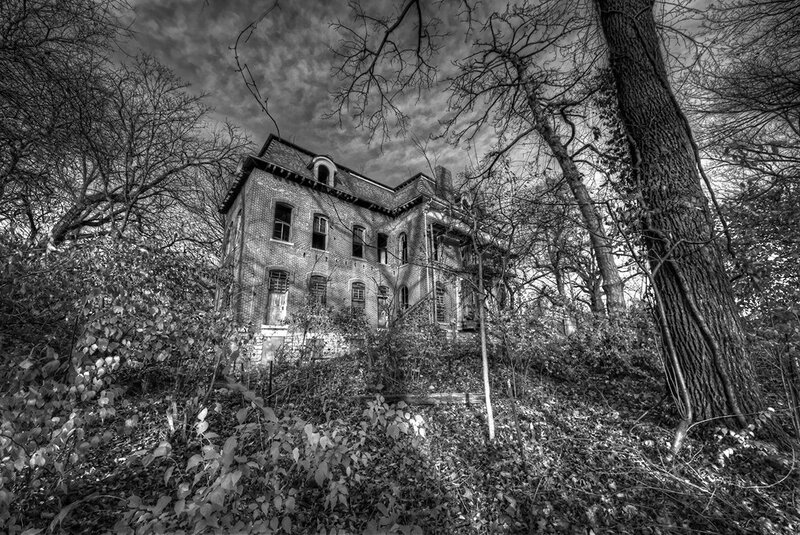 McPike Mansion is the most haunted house in the Midwest, but there must be a haunted house in the country that you live in! Focus on how to make vivid description of a ghastly place and expand your vocabulary! 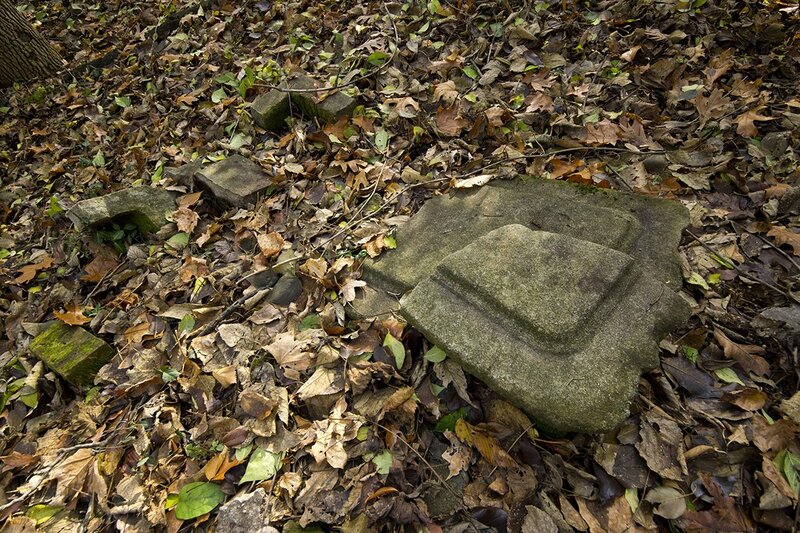 (P2) The McPike Mansion, a beautiful 16-room house sitting on 15 acres of overgrown land, has been vacant for more than 60 years, and maybe for good reason. Multiple ghastly figures, orbs, strange noises, and unexplained happenings have been documented over its almost 150 years of existence. 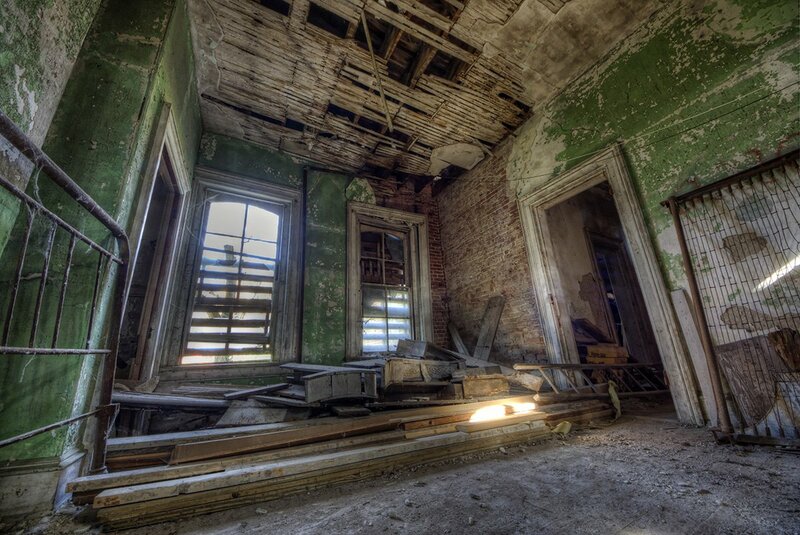 Many believe that the ghost of former owners of the house and their servants still walk the grounds and inside the house’s dilapidated halls. 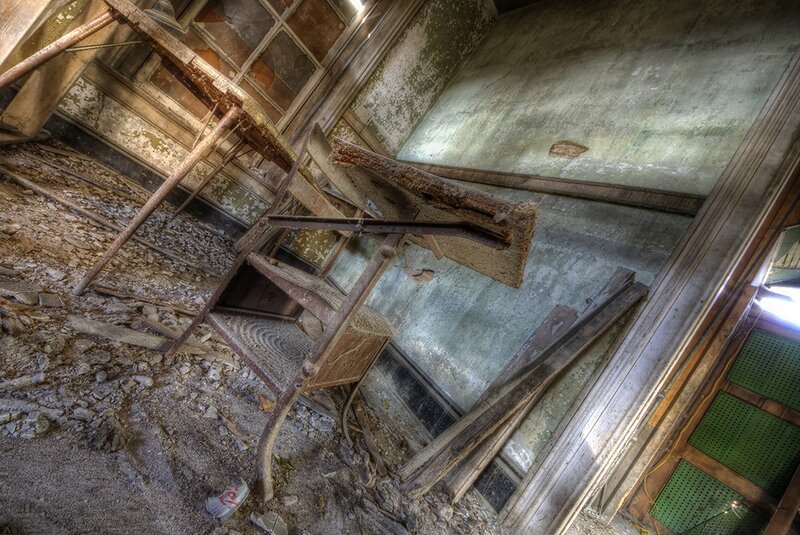 (P3) Photographer Todd Morgan got access to the house recently and shares the photos with us here. You can see more of his work on his Facebook. 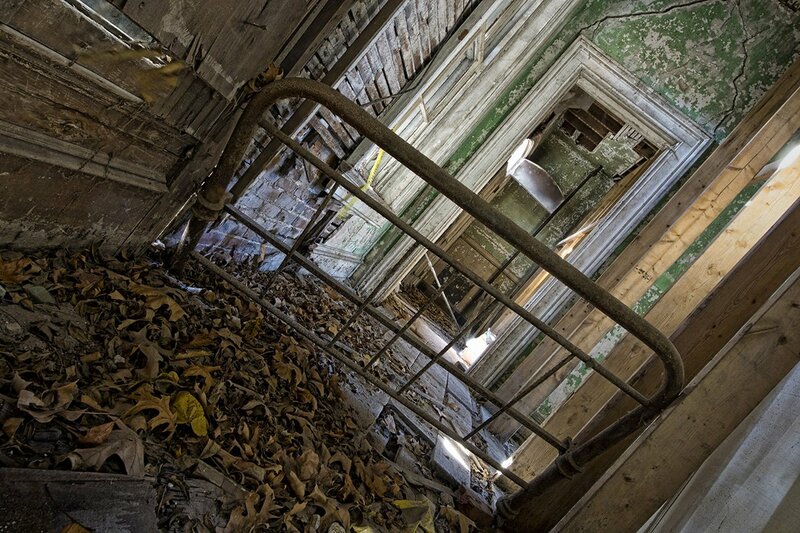 (P4) So, if you’re feeling brave enough, take a tour of the McPike Mansion and get into the Halloween spirit. 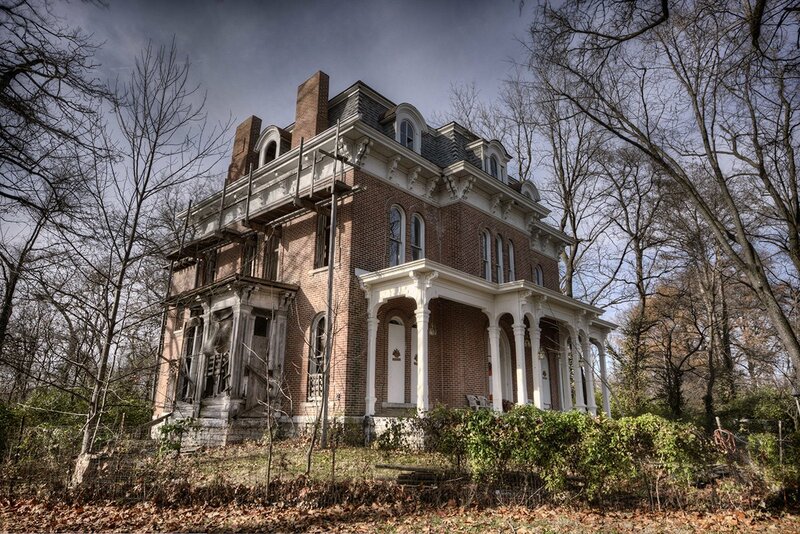 (P5) The McPike Mansion was built in 1869 for Henry Guest McPike, a business man and the one-time mayor of Alton. McPike was also a skilled horticulturist and during his time on the grounds, he perfected his own type of grape. (P6) The house was built in the Italianate-Victorian style and has 16 rooms. 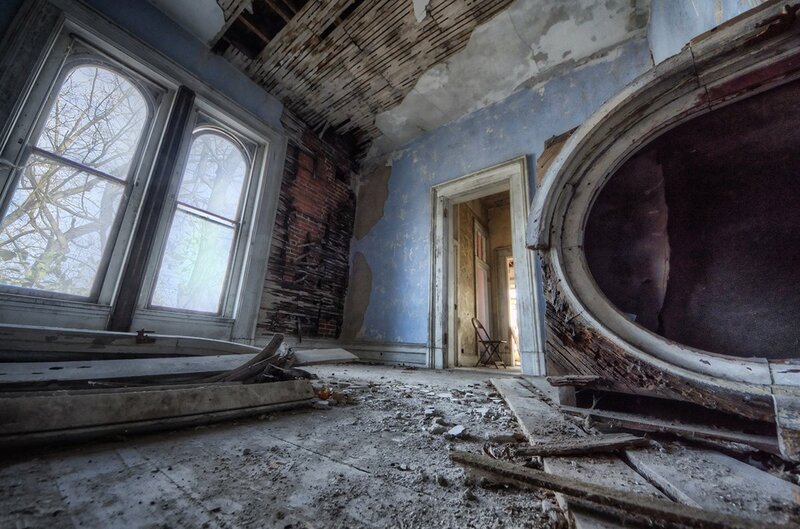 When it was new, it had ornate molding, carved banisters, and boasted 11 marble fireplaces. (P7) The McPike family lived in the house until 1936 and has sat vacant since the 1950’s. (P8) The house also features gnarled oak trees, a menacing wrought iron fence encircling the property, and its very own graveyard. Spooky. 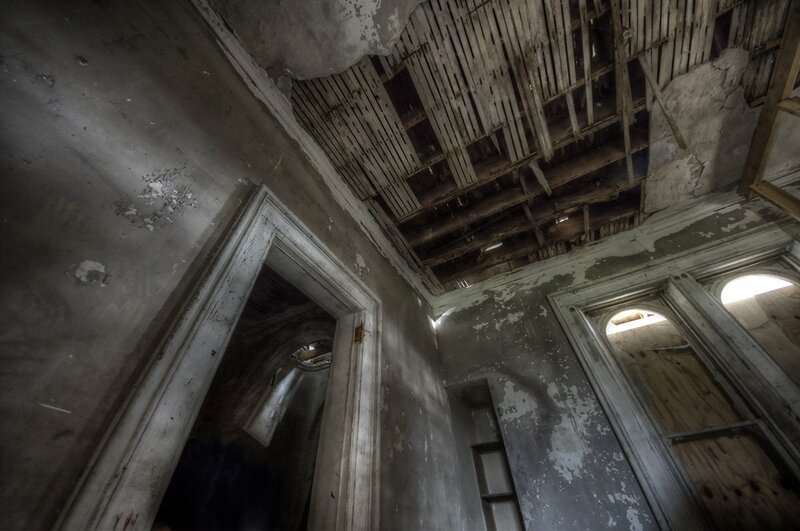 (P9) Many people, including the current owners of the house, believe the house is haunted. Sharyn Luedke, one of the current owners, contends that she’s seen several ghostly figures multiple times during her visits. (P10) Sharyn says she was working in the garden when she saw the ghost of Paul Laichinger, a subsequent owner of the house after the McPikes, standing by a window in the house. He was wearing the exact same outfit as one he is wearing in a picture Sharyn has of him. (P11) Sharyn says that, since then, she’s had many run-ins with ghosts. She says she was hugged by the spirit of “Sarah,” a former servant at the estate. Other people have seen figures or ghostly orbs in the house as well. (P12) The wine cellar is said to be the most haunted location of the whole property. Footsteps and voices have been heard and the heavy metal door that leads to the cellar has been seen moving on its own. 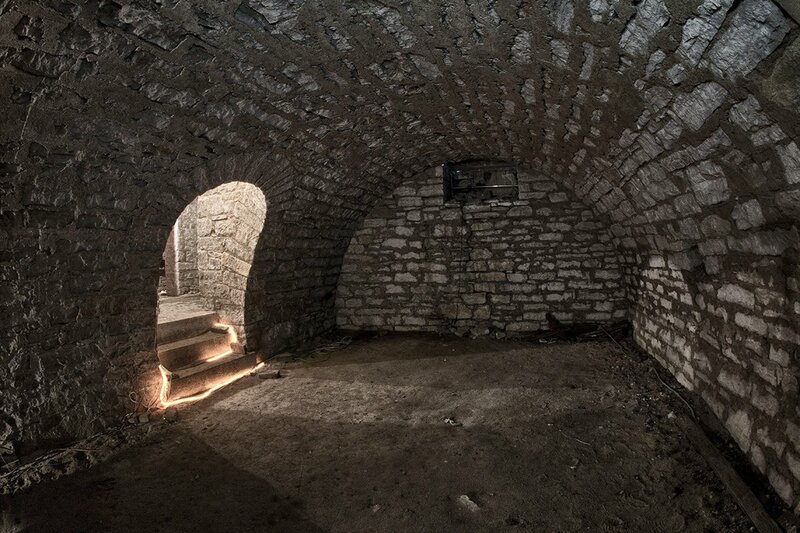 A strange, unexplainable mist has even be reported following guests as they move through the cellar. (P13) The house has been featured on multiple shows about ghosts and haunted places and has been explored by many paranormal experts. The current owners of the house also give ghost tours to anyone fearless enough to visit! 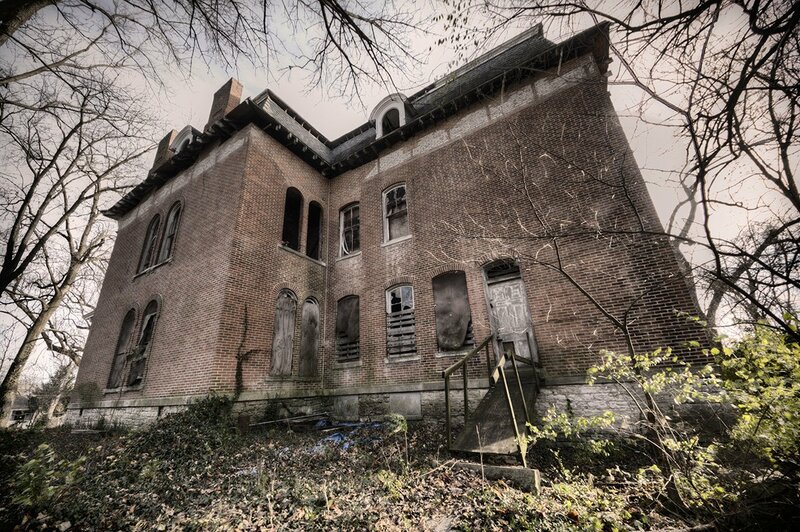 Describe the look of McPike Mansion. You can use the text or the photos to describe the place. Why do people say the mansion is haunted? Do you think the paranormal activities that these people experienced are real? This article is a tribute to Halloween. What did you do on Halloween (if there such tradition in your country)? How are ghosts part of your culture? Share your scary stories with your tutor, and try to give a vivid explanation of your experience!